Shot with Leica D-Lux4 SOOC - frame added. 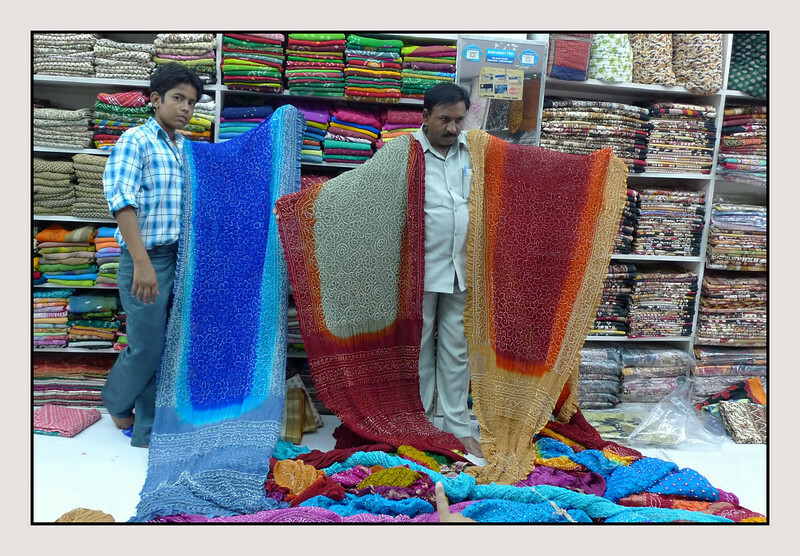 The two sales persons are showing sarees made in the style of Bandhani - tie & dye processed. Such great color. Nice shot. Wonderful comp and color. Sarees are so beautiful..I'll have the blue one please.